RIO DE JANEIRO, BRAZIL – Being away from family and friends is one of the hardest parts about traveling and living abroad. Fortunately, there are more options than ever to stay in touch with loved ones, making the distance seem somewhat smaller, and through services like Enjoy Prepaid they are becoming more affordable and convenient. With Enjoy Prepaid, anyone can contact a loved one anywhere in the world, photo recreation. While social media, email and video chatting can work great given a reliable internet connection and the proper hardware, it’s comforting to know you can call someone or be contacted at any time from your home country. This might seem like an expensive thought – but with an international calling service such as Enjoy Prepaid, this can be possible without paying cost-prohibitive fees. Even better, Enjoy Prepaid offers international calling plans with which customers can use their own sim, and call through an access number using a pin number. The advantages are; that the calls are less expensive using the service, it uses the customer’s telecom provider, and with Enjoy Prepaid products they can call to landlines and also to cell phones. Certainly something helpful in making long distance relationships work is to be able to call the other person on his or her phone anytime you want. It is also really nice to be able to receive calls from the other person directly on your mobile, without being always dependent on the Internet. Maintaining close relationships is possible with the help of Enjoy Prepaid. 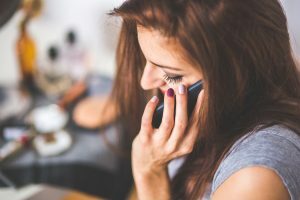 With the program’s international calling plan, one can use a WiFi connection, data connection, or simply any phone by calling a special access number and inserting a PIN. *This is a sponsored article for Enjoy Prepaid.